but it’s a lot farther along than it was! Remember where I started with six star points and no real plan? 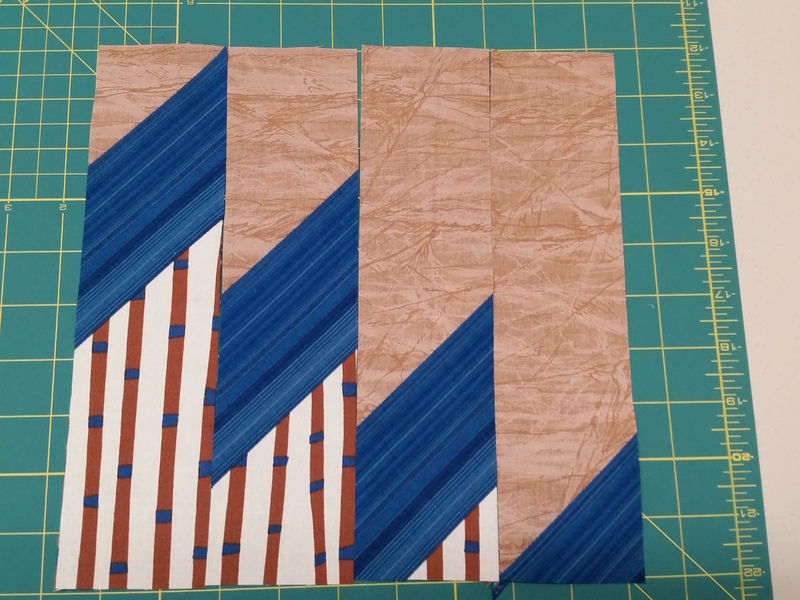 Then I figured out how to set the points in their background fabric and made more borders. 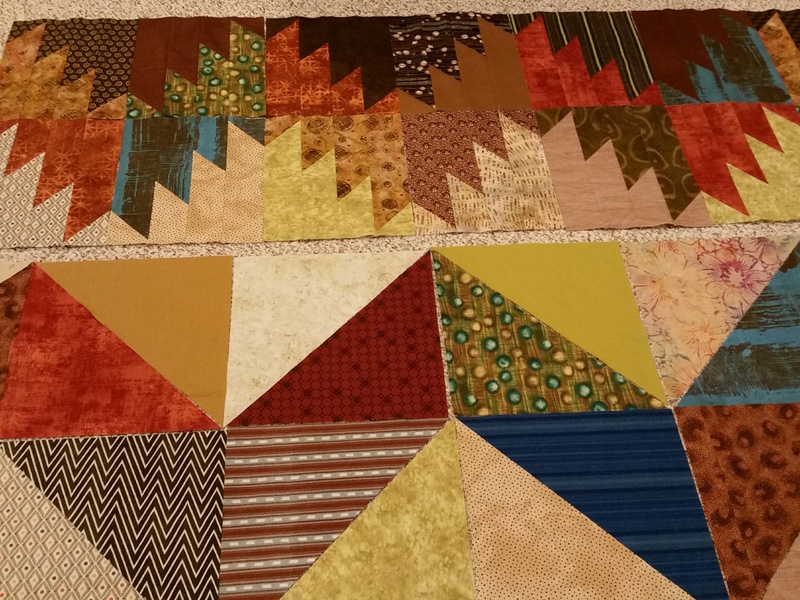 I started on the third of these, making 40 chain (double 4-patch) blocks and cutting the alternate blocks. The chain blocks didn’t have enough visual weight to balance with the center, so I switched gears. This is the result so far, after a fair amount of unstitching and restitching. As often, it is too big to take one decent picture of it on the floor. I simply don’t have enough head room above it to get the camera high enough. Those are dark brown triangles in the corners. They look just right in real life, though in the photos they don’t thrill me. 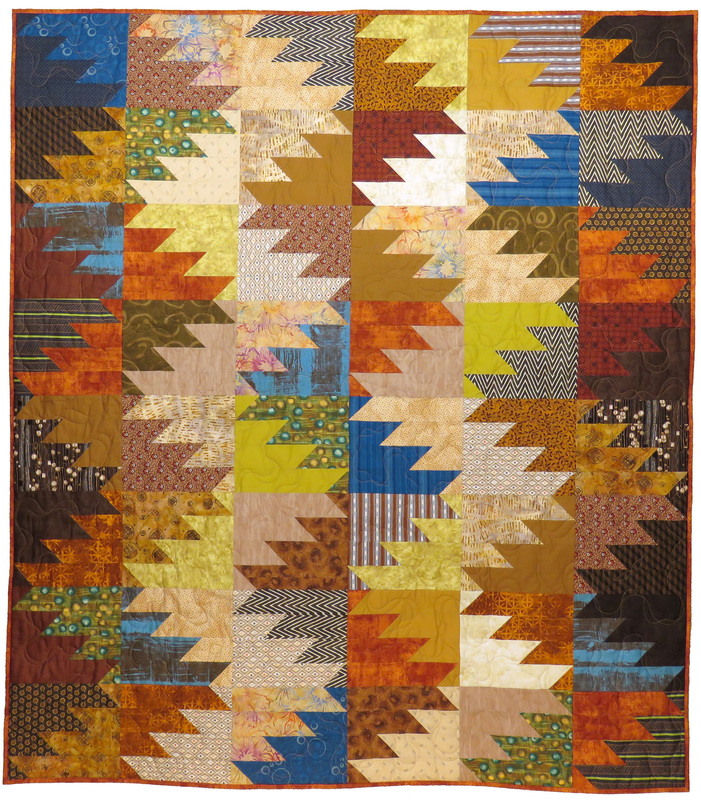 The triangles, along with the diagonal lines of 4-patches, provide the weight in the corners I was missing before. The diagonal lines there and throughout the chains give movement. And the value changes from light background through dark triangles provide the contrast I like. 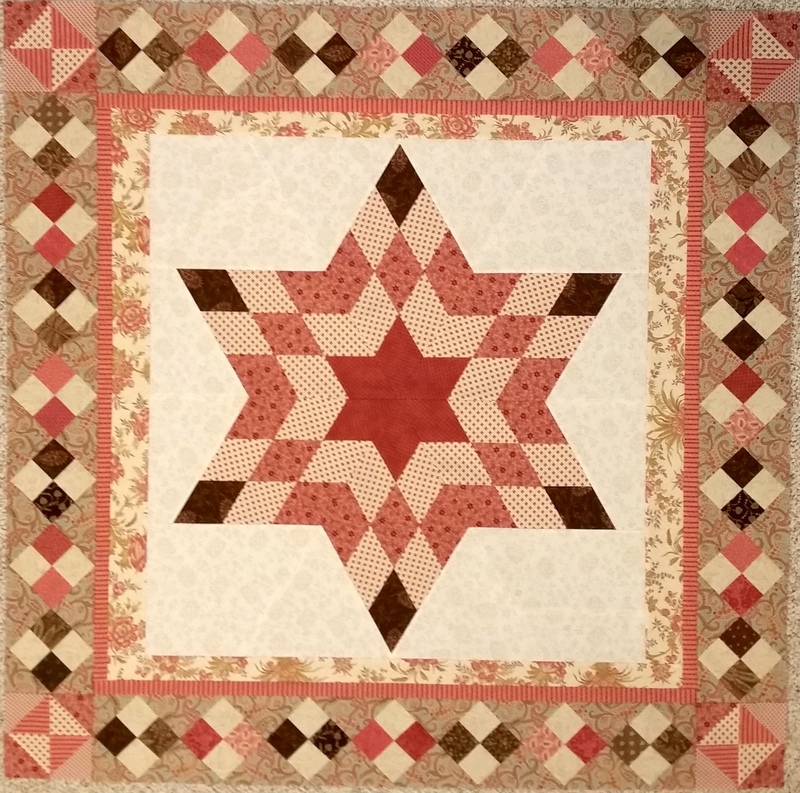 The small 6-pointed stars centering the borders repeat the star shape in the quilt center. I wondered if they would look too small and fussy, but overall I’m happy with the effect. They were kind of a pain to make. I might post again about making them. Right now it is about 70″ square. 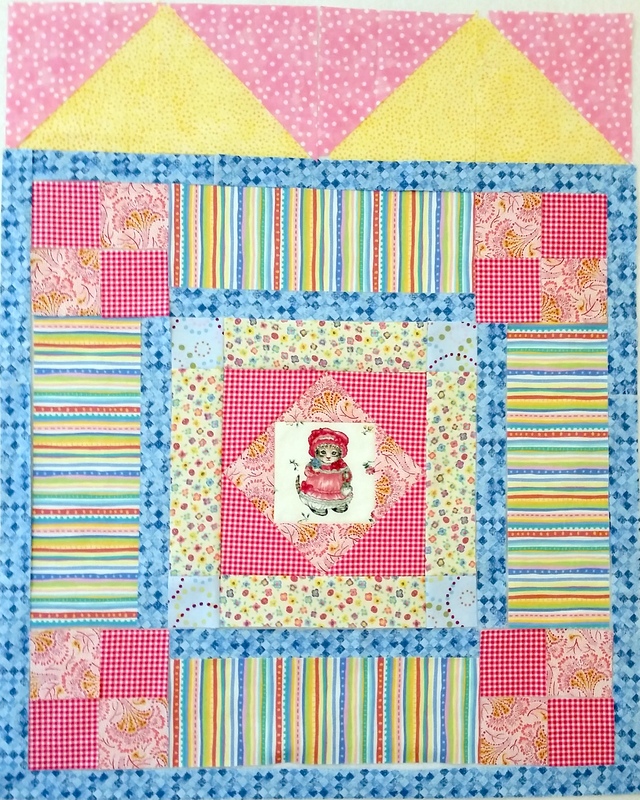 I’ll add another 1″ border, as well as a wider outer border to finish. I don’t have those fabrics in my stash, so will need to shop for the right thing. There are too many other things to do right now, so that will wait, and the UFO will stay a UFO for a while longer. 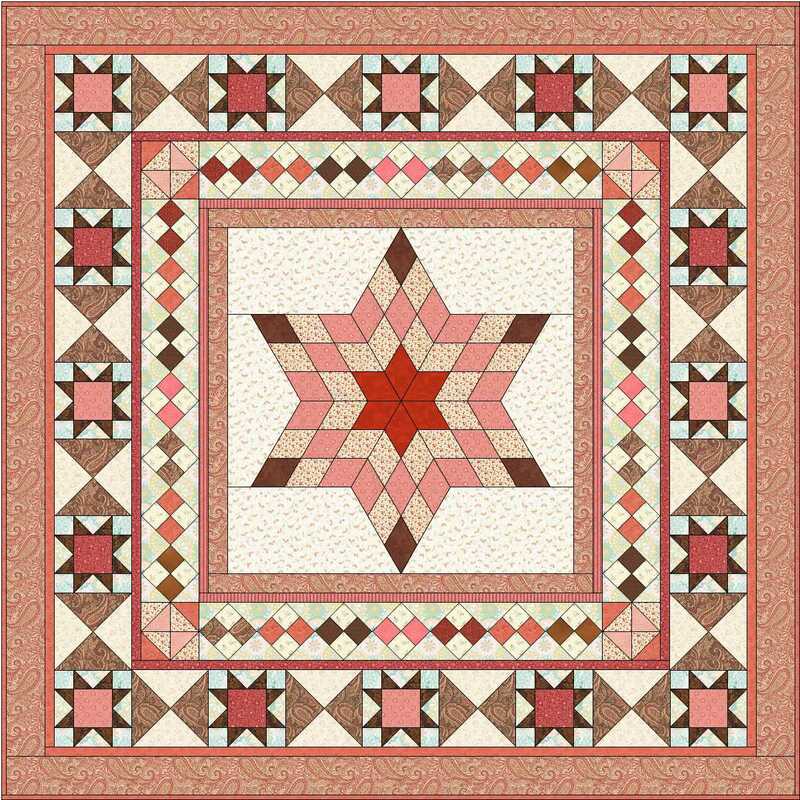 This entry was posted in Medallion Quilts, Quilting and tagged Balance, Borders, Contrast, Design, Design-As-You-Go, Movement, Progress, Solving problems, UFO, Value, Visual weight on July 5, 2017 by Melanie McNeil. My son bought a dinner table this spring, and he bought a house this fall. In the meantime he spent three months in Kuwait, and he’s now in Oklahoma for some training. Despite his frequent forays away from home, he is a domestic kind of guy. As soon as he acquired the table, he asked for placemats. I shouldn’t be surprised. He grew up with placemats at the kitchen table. When he was little, we used plastic ones for him. We have several. Two of them have US maps and one has a world map. One shows the solar system and another has the presidents through Bill Clinton. There are a couple of others, as well. Here are two favorites. 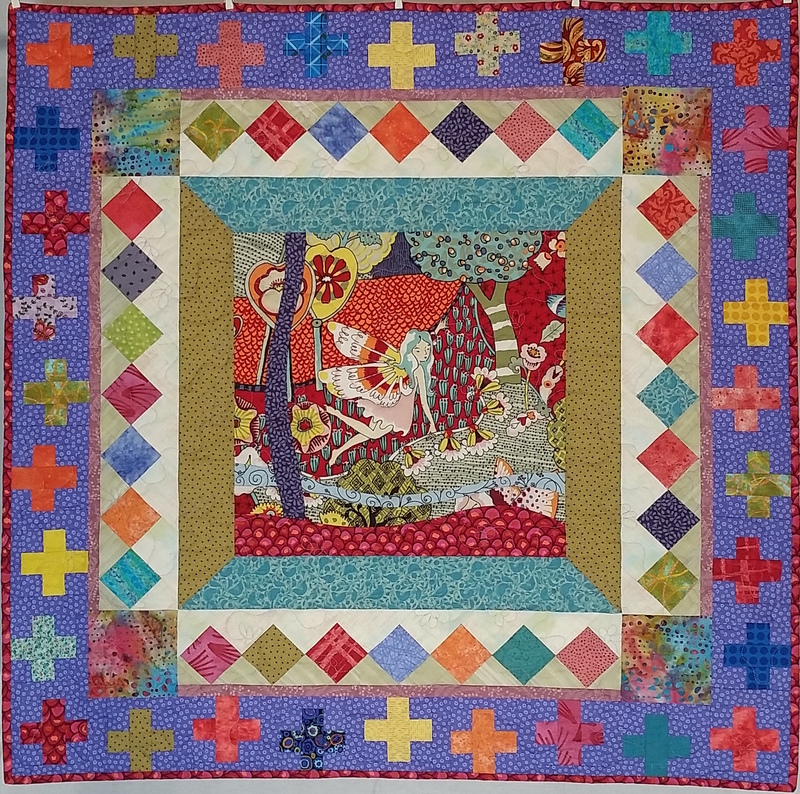 When he was older I began quilting. 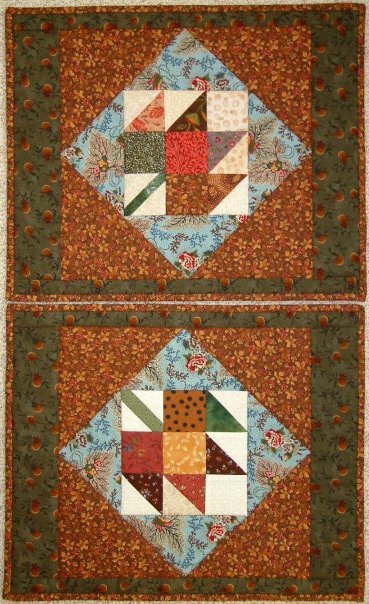 An early project was placemats using maple leaf blocks in the centers. 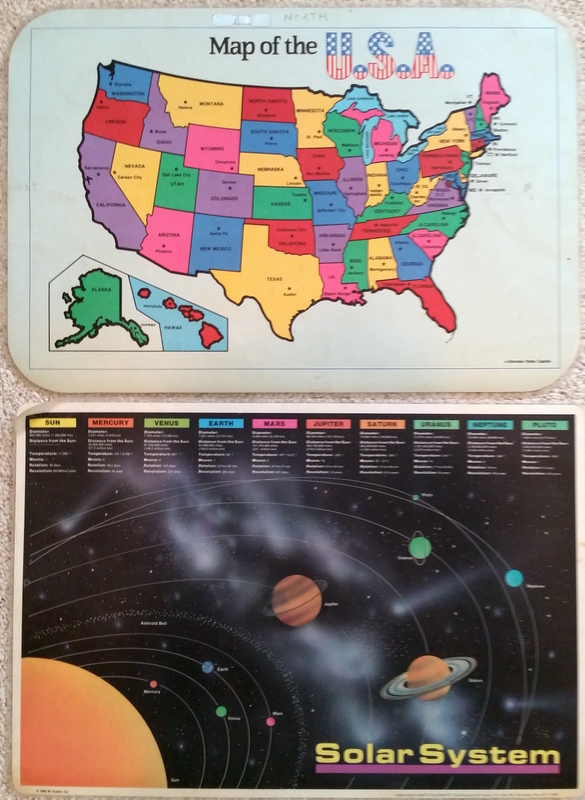 Jim and I still use them on our kitchen table. This photo shows a pair I made for my sister, using the same design and most of the same fabrics. I’ve made other placemats, some for daughters and some for Meals on Wheels and some for us. I don’t much like making them. It seems like a lot of effort for something that is mostly covered when being used. But Son asked, and what’s a mom to do? As mentioned, he’s recently moved. The house is a project, to put it mildly. (He’s also asked if we can help him paint when we visit next time.) He has red accents in the kitchen, and the couch is brown. His couch throw is a quilt I made, with blues and greens. The tabletop is stained very dark, almost black. He didn’t have a notion of what colors I should use, so I used all of them. How much are they worth? Earlier this year I wrote about making placemats and how to value them. Let’s just say, I wouldn’t do this for just anyone. But these are a Christmas present for him, one which I’m confident will be used. That makes it worthwhile for me. 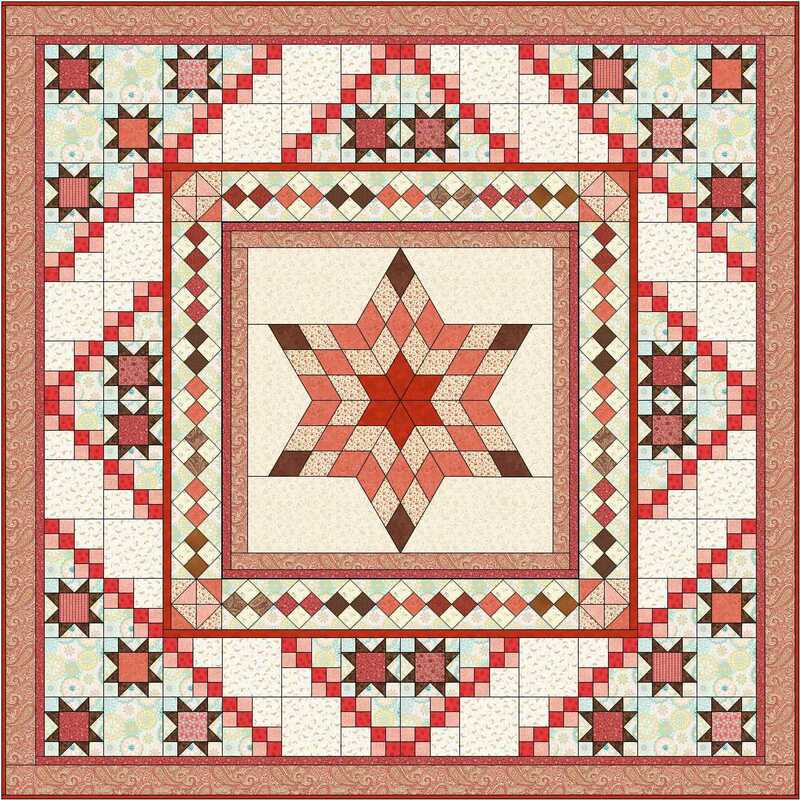 This entry was posted in Quilting and tagged Placemats, Value on December 17, 2016 by Melanie McNeil. It was a challenge for me, because big prints tend to mute contrast. I like strong contrast and the sharp edges it reveals. I named the quilt “The Mountain.” In the linked post, I said this about the name, “I am not sure why the name came to me, other than that I have been climbing and climbing, mentally and physically and emotionally and artistically, and now I feel like I’m finally getting somewhere, though of course I’ll never reach the peak.” To see more about the design process, click here. The name, “Still Climbing Mountains,” is for three reasons. First and most importantly, the block style used is called “Delectable Mountains.” Second, I am still climbing! And third, it reminds me of The Mountain because of the big prints. 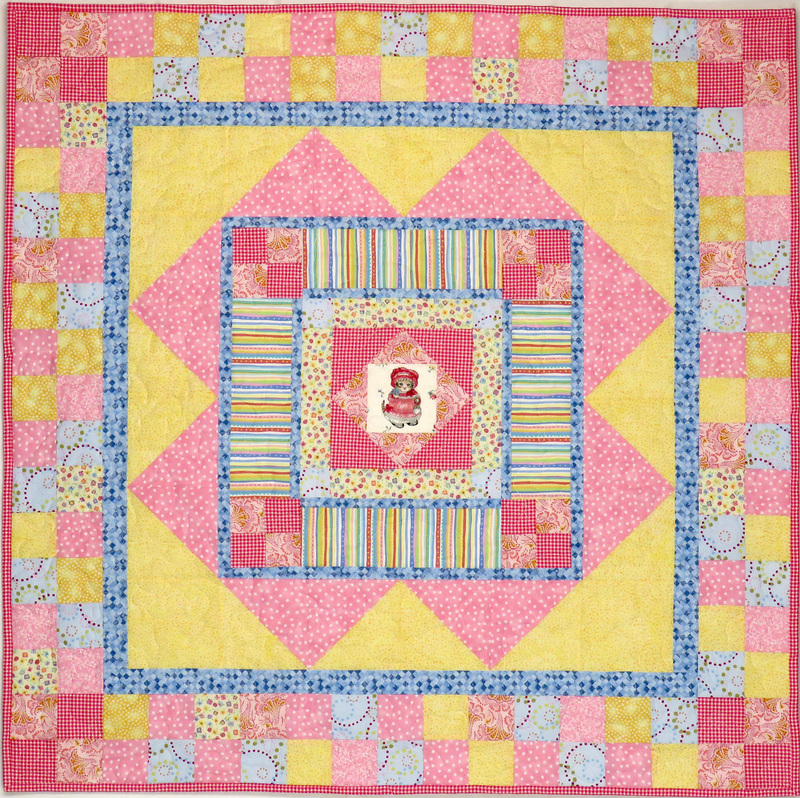 In truth, though, there are all kinds of fabrics in this quilt. 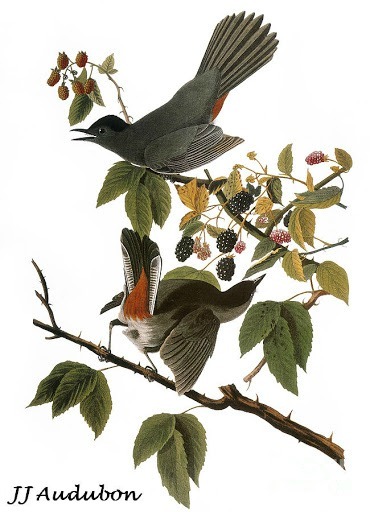 They range from solids and tone-on-tone, to very large prints. There are batiks and traditionally printed fabrics, ethnic-ish designs and geometrics and Civil War repros. 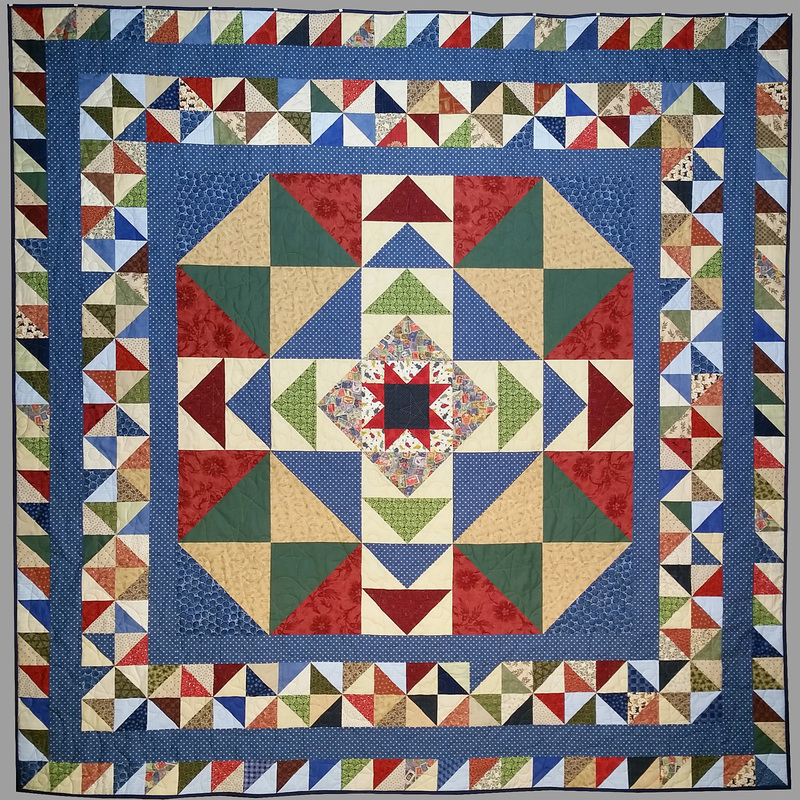 The fabrics were purchased over many years from local quilt shops and large retailers. Browns, teals, rusts, olives, and tans, I just kept pulling fabrics from stash until I had enough. There are 48 blocks in a 6 x 8 layout. If you look at the photo above, they are arranged by value. The first column (left to right) is very dark and medium dark. Column 2 is medium dark and medium light. Column 3 is medium light and medium dark. Columns 4-6 reverse the order to finish with very dark. 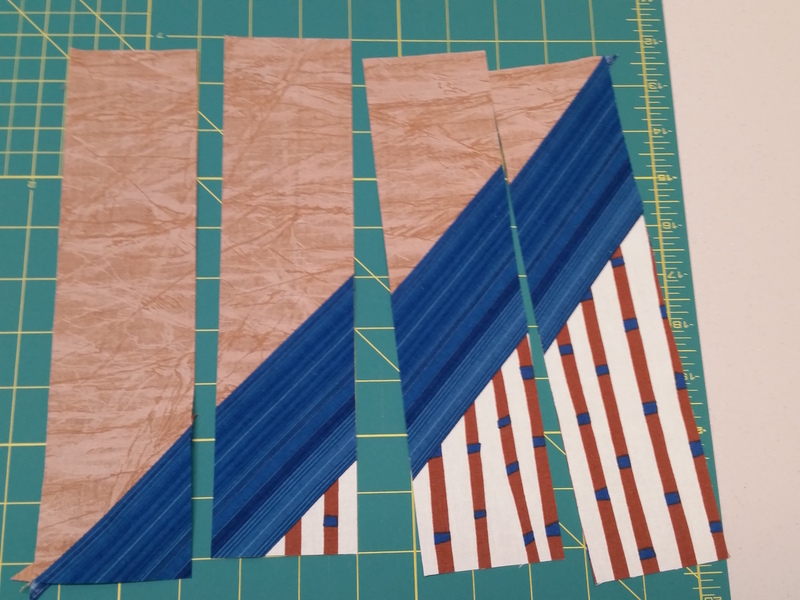 Each HST then was sliced into 4 segments of 2.5″ by 10″. 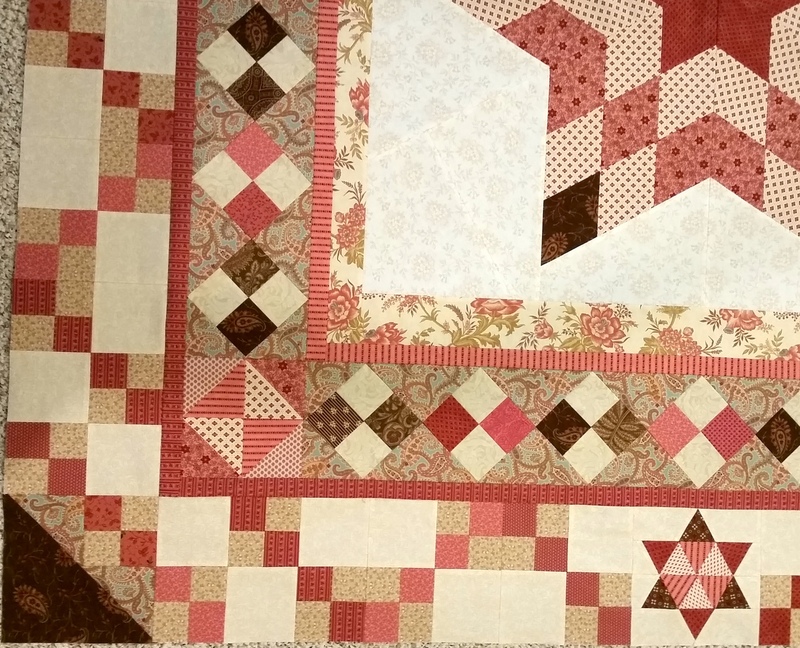 The segments are rearranged and sewn back together. 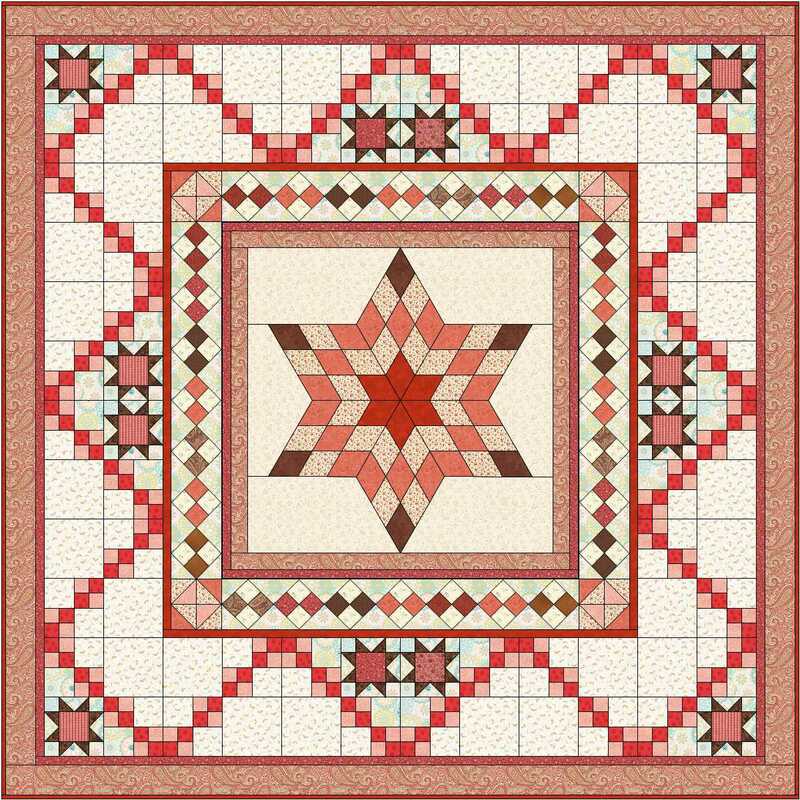 The new block finishes at 8″ x 9.5″. The coolest thing was how each block transformed as it was rearranged. Assembling the top was easy, too. I assembled each of the six columns, being careful to match them in the one place where the jags fit together. 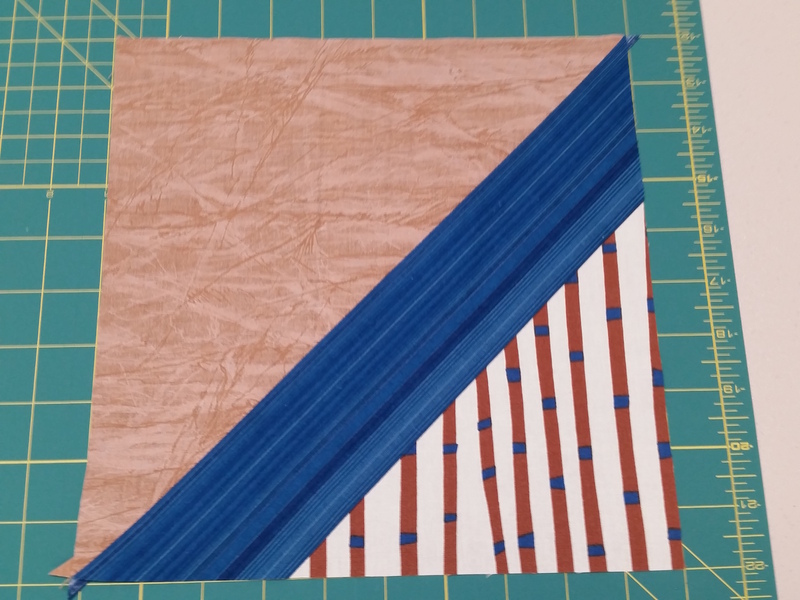 When sewing the columns together, you only need to match the block corners, because that is the only place where contrast shows. 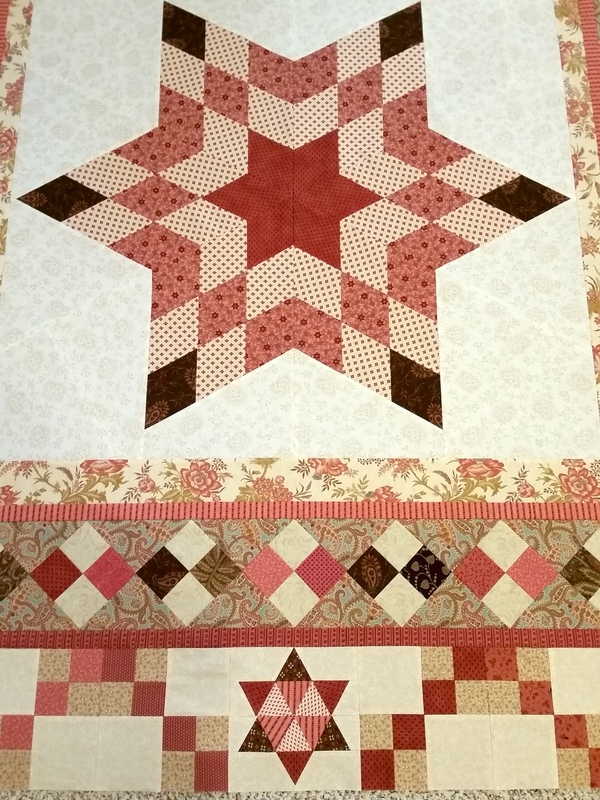 In fact, though I’m usually pretty careful in my construction, this was a really forgiving quilt top! 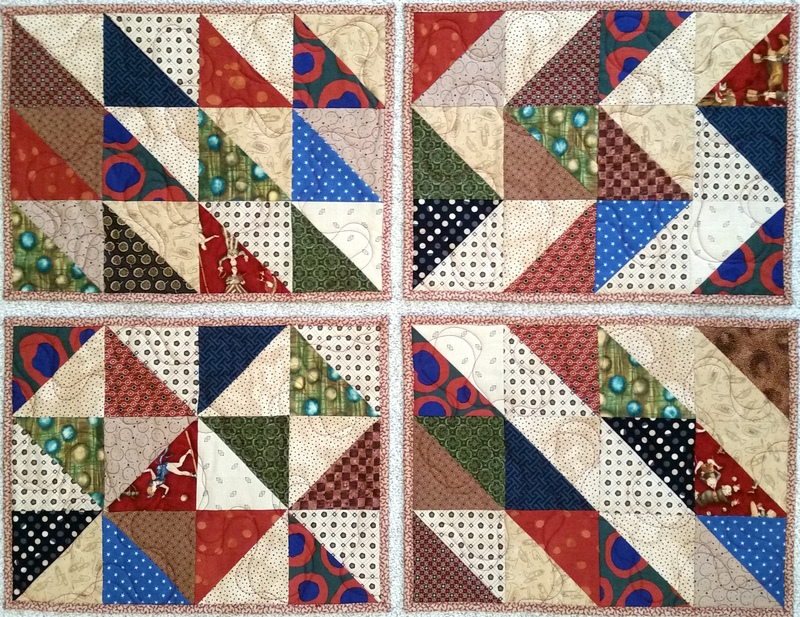 My blocks were not all exactly sized and my within-block seams didn’t match up, and believe me, there is no way to see any of that! It was fun and fast — the hardest part was picking the fabrics, and I’m not kidding. 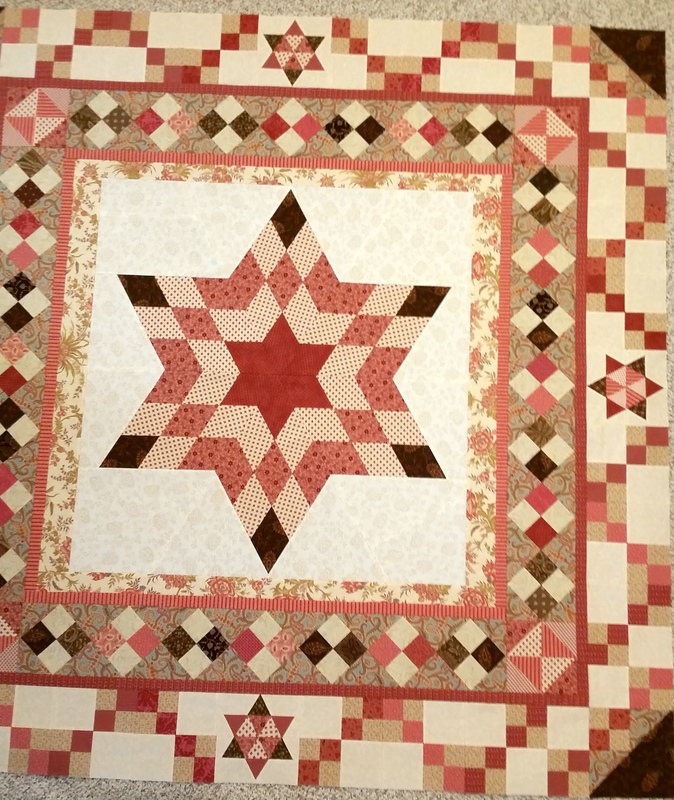 This is one of four quilts I finished in August. September will be a lot lower output for me, so it was nice to mark some finishes. 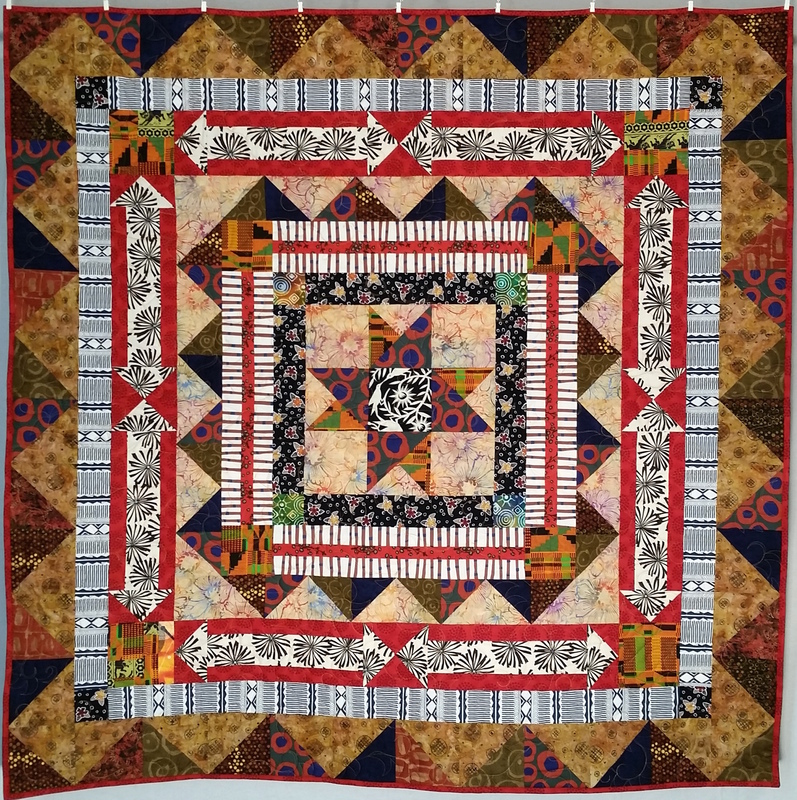 This entry was posted in Creativity, Quilting and tagged Delectable Mountains, Fun, Process, Quilt block, Value on August 28, 2016 by Melanie McNeil.